After the Opera House we sat down for lunch just down the street, overlooking the harbor and the bridge. We then decided to look around the amazing botanical gardens. 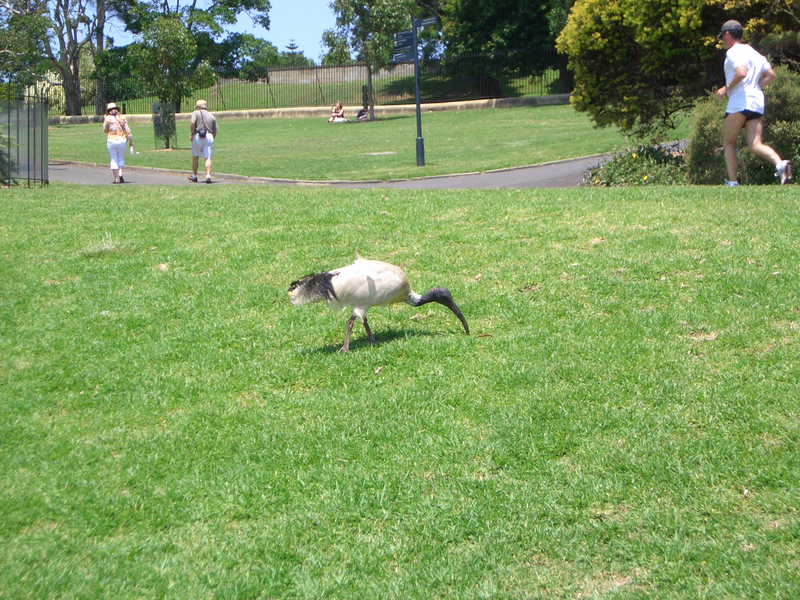 This is a huge public park that wraps fully around from the Opera House in the east to a dock area to the west. They are beautiful. There are many species of birds to be seen wandering and flying around, Parakeets, Cockatoos, Ducks, some lovely rainbow birds. The fauna is glorious aswell. 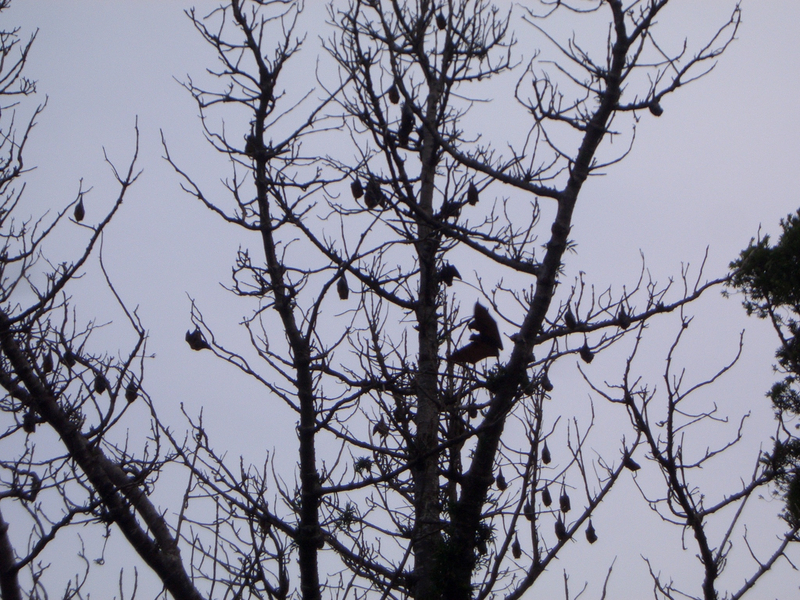 But then we came into an area that was home to thousands of bats. Yes, bats. Bats everywhere. 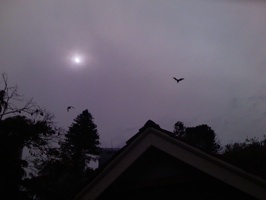 And not just little bats either. Flying Foxes, the largest of the bat family. They were about 1 to 1.5 feet tall with a 3-4 foot wingspan. Huge I tell you. It was like walking into the scene from Indiana Jones and the Temple of Doom that freaked out Indianaâ€™s lady friend. 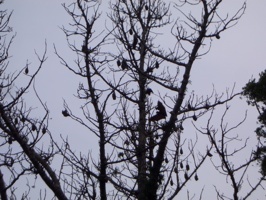 There were hundreds of bats hanging (literally) in trees, sometimes sharing branch space with some of the local birds. 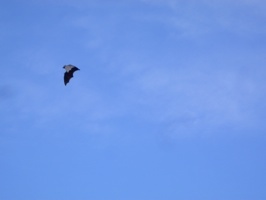 They were occasionally detaching themselves and flying around â€“ which was pretty darn cool.